The great war is in full swing, and your task is to convoy an important cargo to the military base. 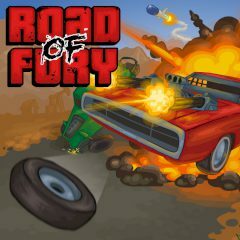 Drive along a dangerous road full of enemies and traps, unlock new cars and try to drive as far as possible. Good luck, warrior!